Slice of Pi Quilts: It's a Pinnie Parade! 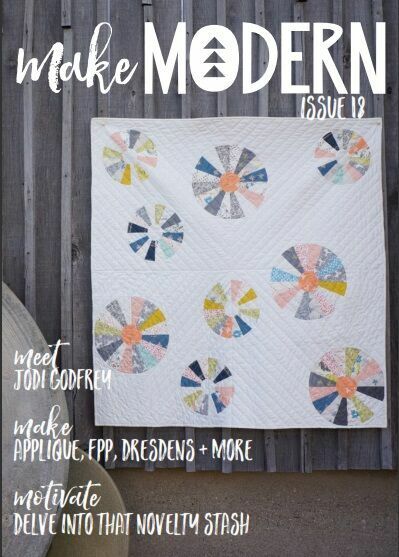 This month's Make Modern issue has a gallery of pin cushions - and mine is in the pinnie parade! 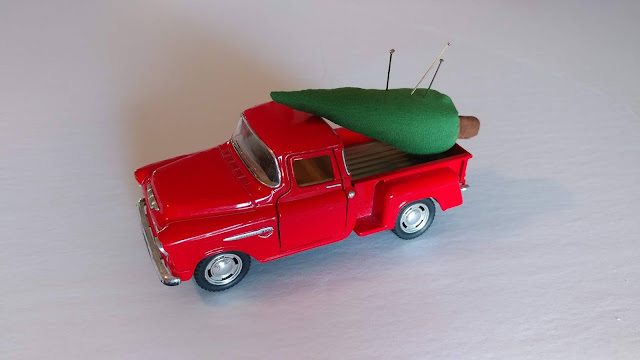 I made this pincushion by gluing a handmade pincushion tree into one of my boys' toy trucks. I love the whimsy of this pincushion! It reminds me to embrace and enjoy the stage my boys are in as it won't last forever! I'm thinking I might need a dinosaur one soon too. Have you discovered Make Modern yet? It's a digital only magazine delivered right to your inbox. The quality of the content is SO good! My Fruit of the Spirit quilt was in Issue 17, and I hope to have a few more patterns in upcoming issues too! Now if the boys would just stop running off with my pin cushion! 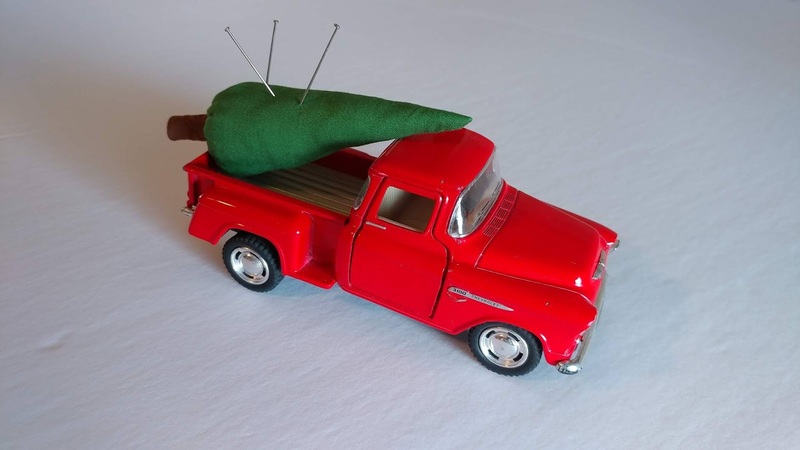 Do you have a favorite pin cushion? What a fun idea! We are just going through some of our son's things and this may inspire me! Some things are bound to go, like "Snaily" made out of a crayola clay, but maybe it can be salvaged for a Christmas ornament! Just too cute! Is this a hint that it'll soon be time to cut that Christmas tree ??!! 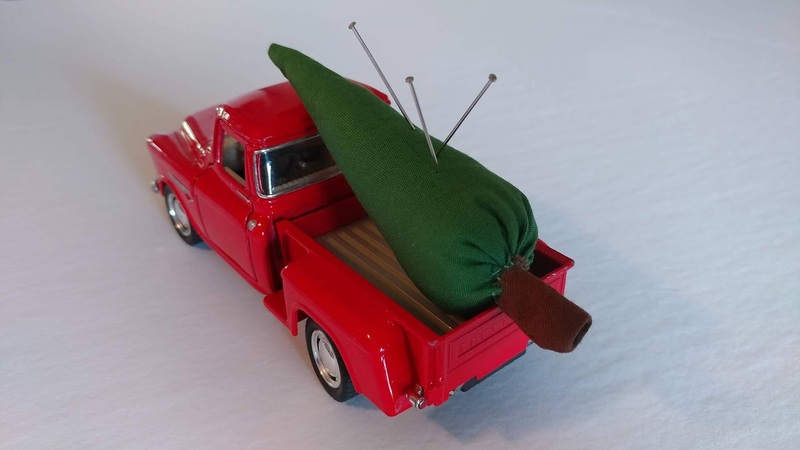 Love your pincushion tree and it's delivery system, too cool!!!!!! Laura, you are creative!!! I can see why the boys would want to play with it. 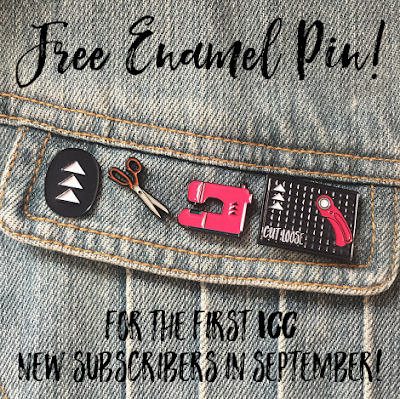 You might have to make them one too or a set of trees to play with but keep the pins for yourself.